With CONRI, it's not just business, it's personal. As a family owned and operated business operating in Westchester for over 55 years, we take pride in everything on which we put our name. The CONRI difference is our level of personal interaction with our customers. 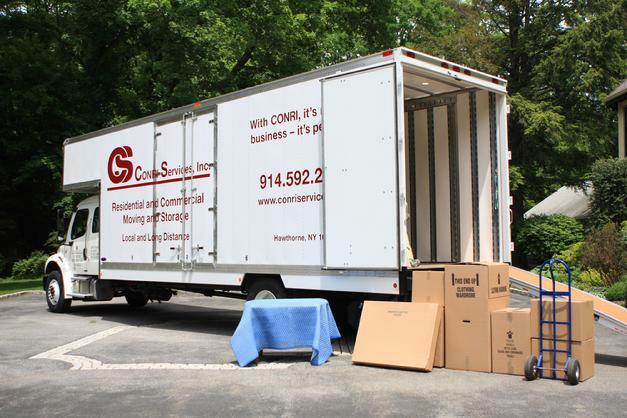 You don't just get a sales person, you get a moving consultant, who will help you through the entire moving process. You are bound to have questions arise as you go and we are committed to providing you with quick answers and efficient solutions to all of the things that may surprise you along the way. - One piece to entire household. - Packing material sales. We stock a variety of boxes, tape and cushioning. - Cleaning services at your pick up and/or delivery location. - Haul away of unwanted furniture. - Multiple stop pick up and delivery. Ask about our complete Turnkey Service option.